© 2019 Hudsons The Burger Joint.  Every Thursday at your local burger joint we serve our sliders for only R25 each! So, why not join us next Thursday for your selection of delicious sliders.